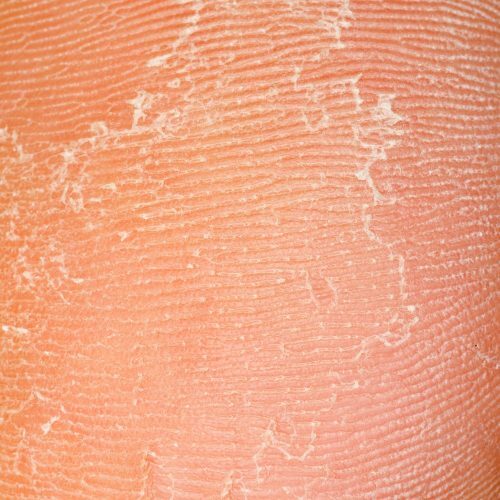 Why I am facing skin peeling on hand and feet? Loss in upper layer of skin or epidermis is well known as peeling skin and this issue is often accompanied by itching, rash, dryness and several skin irritation problems. Here is one important fact to know that peeling skin is actually a symptom and it can be caused by several medical conditions or skin disorders. 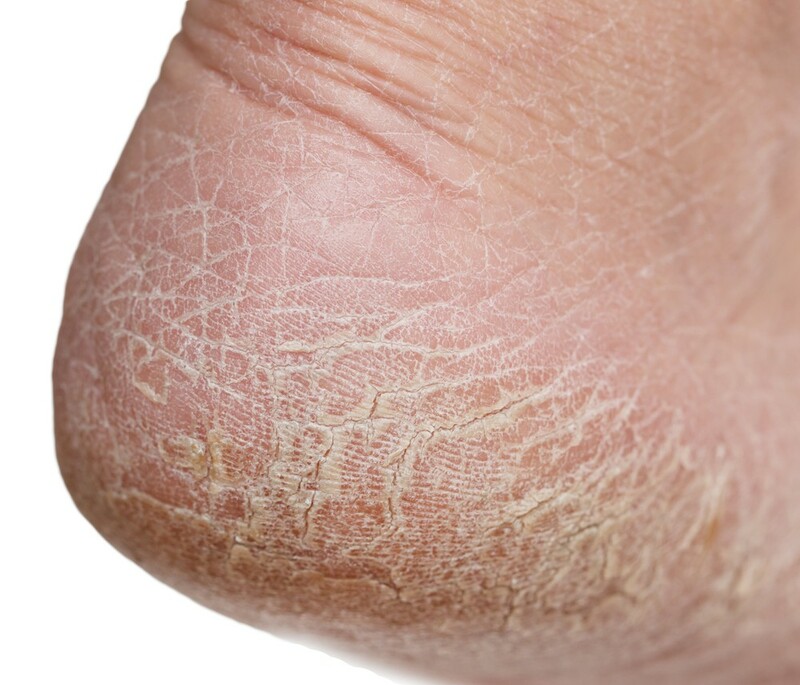 Few major problems that lead to peeling skin on hands and feet include toxic shock syndrome, dermatitis developed by too much dandruff, ringworm, psoriasis, Kawasaki disease, fungal infections, eczema, athlete’s foot, toxic epidermal necrolysis, peeling skin syndrome, few specific types of cancers, immune system disorders, skin infections, chemical allergies, skin rashes, excessive perspiration, extreme weather conditions and over exposure to sun. Some of the most common symptoms of feet skin peeling may include flaking or thickening of skin, rashes, inflammation and itching. In case if you keep on ignoring these troubles during early stages then there are chances of harmful skin infections. People who are facing few extended symptoms like weight loss, general ill health, fever, muscle or join pain or constant fatigue etc. 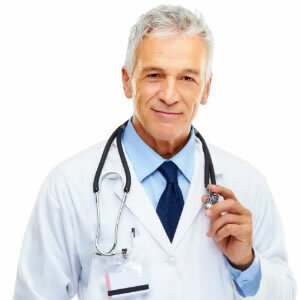 then it is necessary to consult doctors immediately. 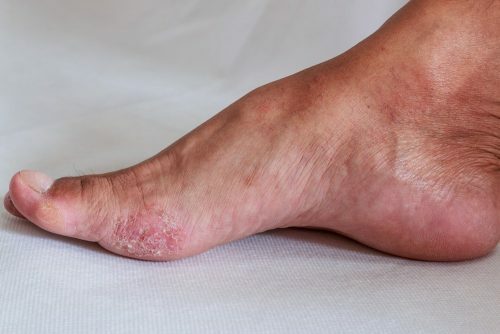 Skin Buildup: Generally, skin sheds as a natural process but if you look at the bottom portion of your feet then you will often find some dead skin building up. 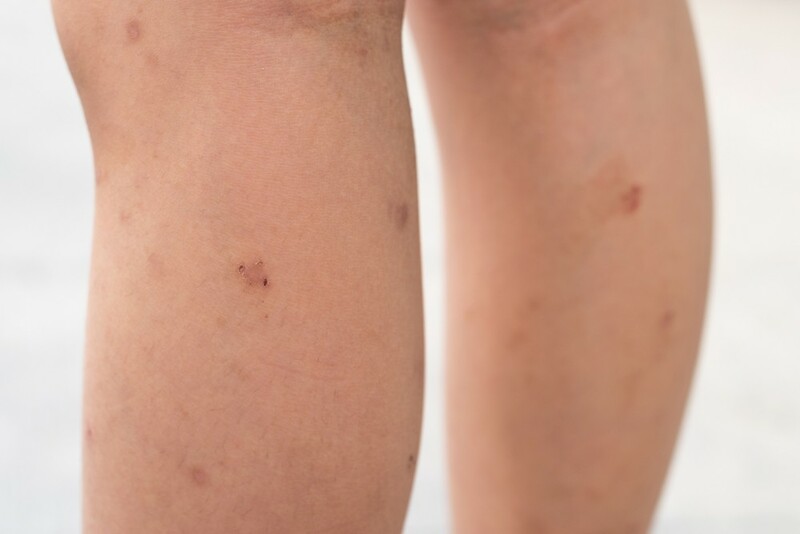 It is common to find this dead skin shredded and flaky with time. Dry Skin: Most of the time dryness on bottom of the feet occurs due to excess physical activity or due to some environmental changes. Sunburn: Very few of you might be aware about the fact that even feet can face sunburn same as your arms or back. 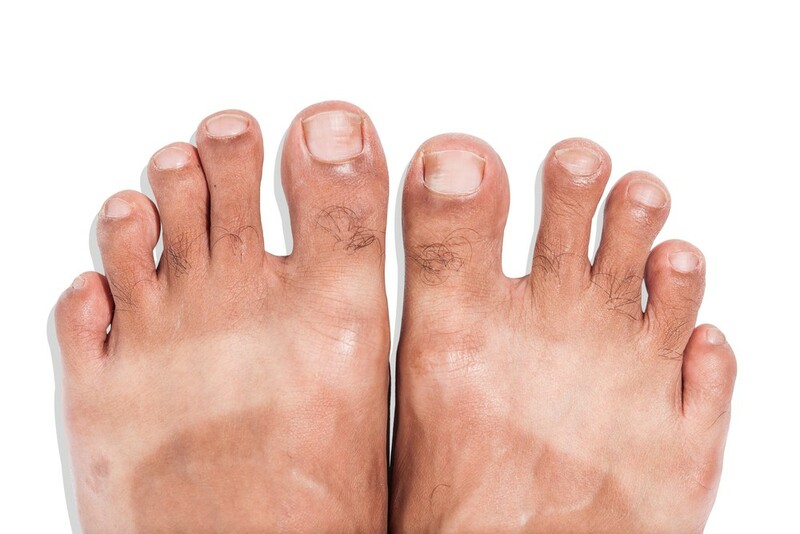 This sun burn affected skin area often become cracked and leads to dry peeling feet due to excessive dryness. Fungal Infection: It is observed in most of the cases that skin at toe areas starts peeling just because of some fungal infections. Note that if you leave this problem untreated then it can often spread to the whole bottom area of your feet. 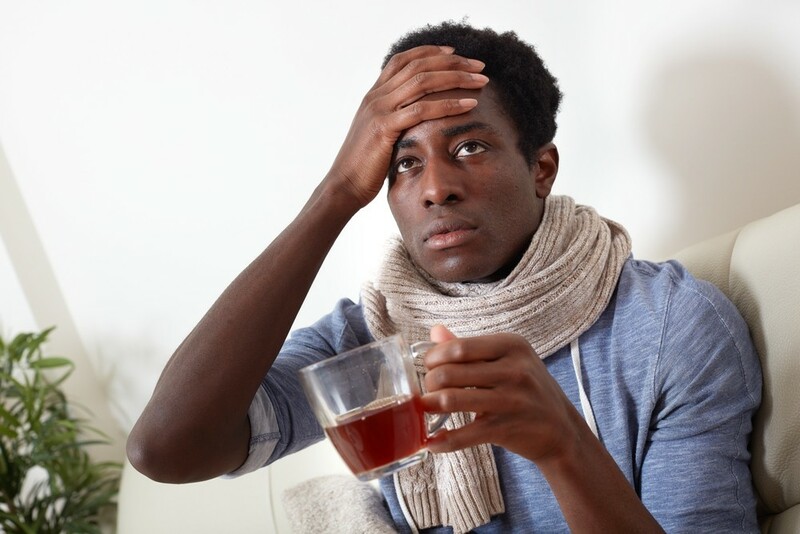 Fever: Few specific types of fevers also lead to dry skin due to excessive sweating and it leaves major impact on foot area. 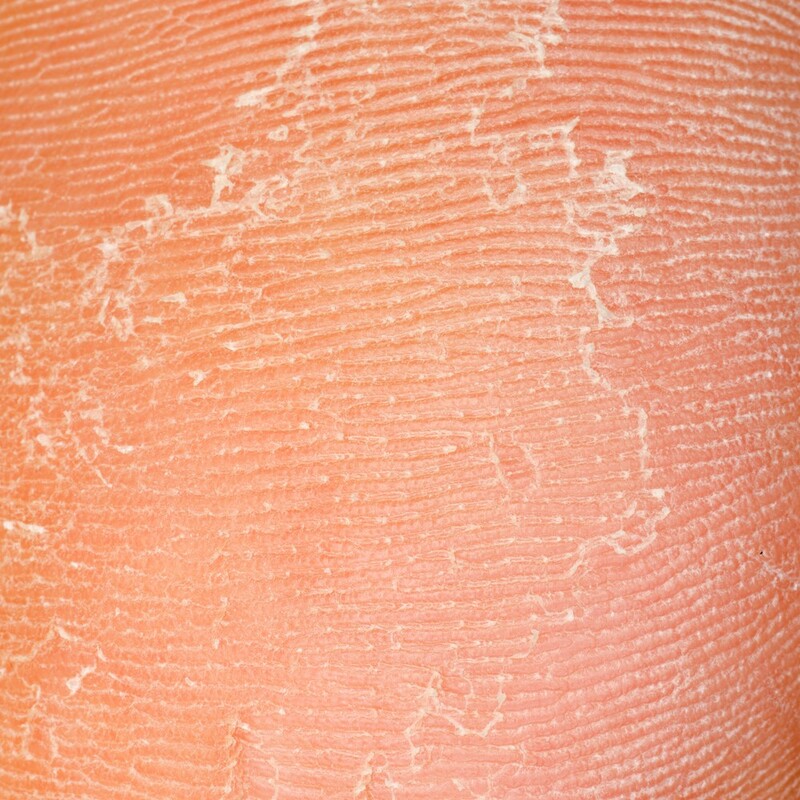 This trouble often leads to feet peeling, and cracked or dried hands. 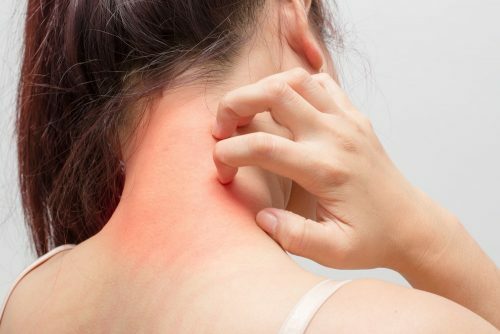 Dermatitis: Dermatitis is well known disease that occurs in form of inflamed skin and has few common symptoms like rashes, dandruff and eczema etc. These issues often lead to dry peeling skin on feet. 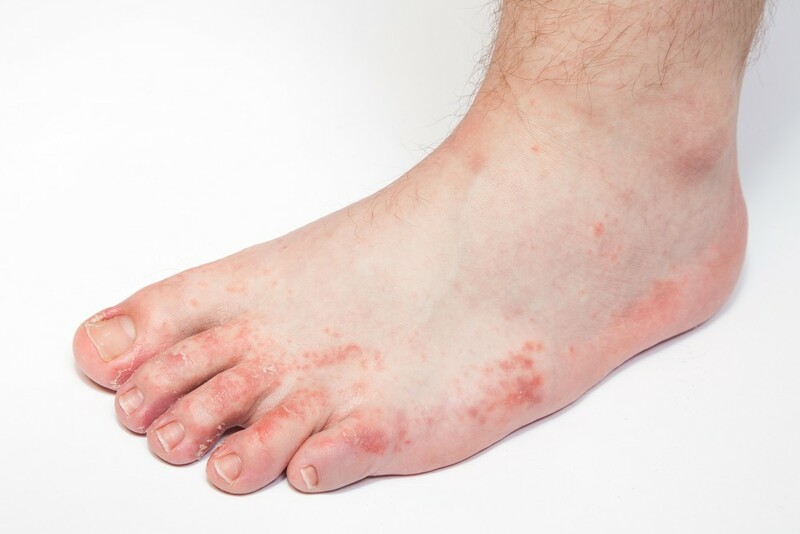 Reactive Arthritis: Reactive Arthritis is also known as Reiter’s Syndrome that usually occurs when human body is suffering with certain kind of infection. In this case, skin, urinary tract, eyes or joints may become inflamed and this trouble leads to bottom of feet peeling and may also affect palms. Allergies: Sometimes skin peeling occurs just because of some allergic reactions. Such type of allergies often occurs due to some kind of laundry detergents, specific food items or due to some environmental changes. If you are suffering with skin peeling issues on feet then following home based remedies can be helpful to you. The biggest benefit of using home remedies is that they use to be free from side effects and they are cost effective solutions for your sole of feet peeling. Very few of you might be aware about power of warm water to make your feet relaxed; this technique provides more potential results if you try it in the evening. With warm water, the dead skin cells gets loosen and it naturally makes your skin drier. Take some warm water in a bucket. Put your feet inside this bucket and keep them there for almost 20 minutes. A scrub can help to loosen the peeling skin on feet. Once you have removed them well then dry your feet carefully. Now use lotion so that feet can get moisturised. If you want to find an easy solution that can work during bath then scrubbing is best idea. 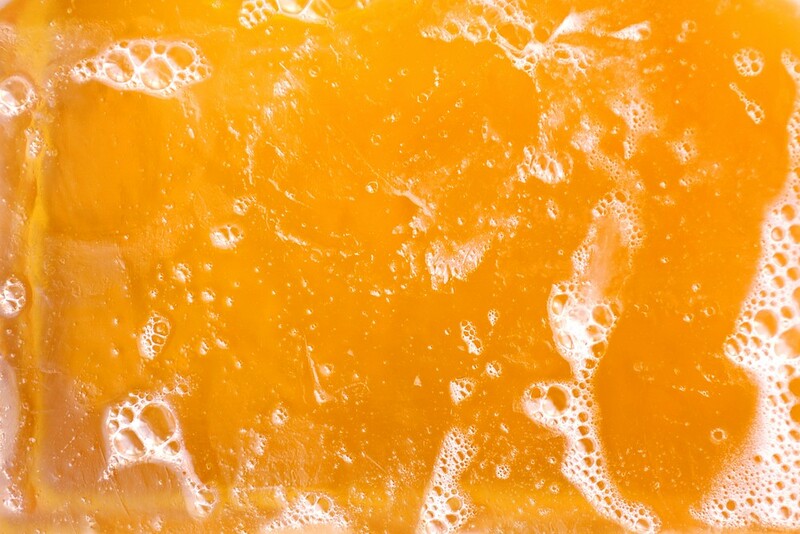 A good quality scrub can easily take out all the dead skin cells, especially when it is used with soapy, warm water. Get some liquid soap and then wash your dried feet with it. A pumice stone can help you to scrub all the dead skin cells. Now rinse the area with running water and make it dry using a soft towel. Professionals recommend using paraffin wax to get rid of dead skin cells as soon as possible because it helps to maintain softness in dry or cracked feet area. As it helps to nourish your skin with natural oil so this treatment is believed to be effective enough. Use a microwave or simply a pan to heat up paraffin wax. Prefer to add little amount of coconut oil into it. Now apply this paraffin wax plus coconut oil paste on affected area. Note that it will appear hot at beginning but with time it will seem normal to you. Leave it as it is on your feet for whole night. In the morning simply wash off this wax from your feet and you will find them smooth enough. Many dermatologists use this substance to make skin softer before applying any treatment so it is common to use glycerine to get rid of skin dryness issues. It will help to make your feet softer and skin will feel lifelike with this treatment. First of all you have to mix lemon juice into glycerine. Now apply this mixture on affected foot area. Leave it as it is on feet for almost 20 minutes and then wash off this treated skin with water. It is good to follow this treatment regularly for several weeks to say goodbye to peeling feet skin. This substance is well known for its ability to improve blood circulation in feet area so that dead skin cells can be effectively taken out. 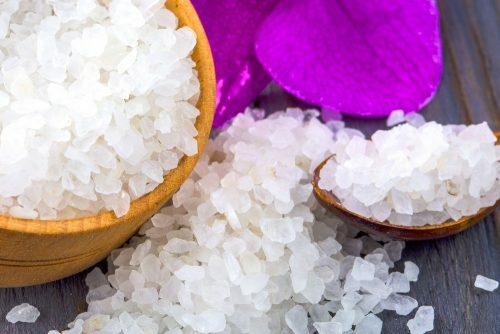 Epsom Salt also contains some magnesium that assists in removal of toxins from feet. Put some amount of Epsom salt into water. Almost for 10 minutes you need to soak your feet into this mixture. After 10 minutes simply dry your feet and then apply petroleum jelly. Prefer to repeat this process for at least 3-4 days. Usefulness of Mentholated Rub is well proven for treating cracked feet dry skin or baby feet skin peeling area. This substance actually possesses several natural and most powerful essential oils that are really good for overall skin health. Those who have some troubles with fungus can also find this trick effective enough. First of all you need to clean your feet and then make them dry. Now apply some mentholated rub on the affected feet area. Wear socks and leave them as it is for whole night. By next morning, wash your feet with some warm water. This process often results into most effective results. 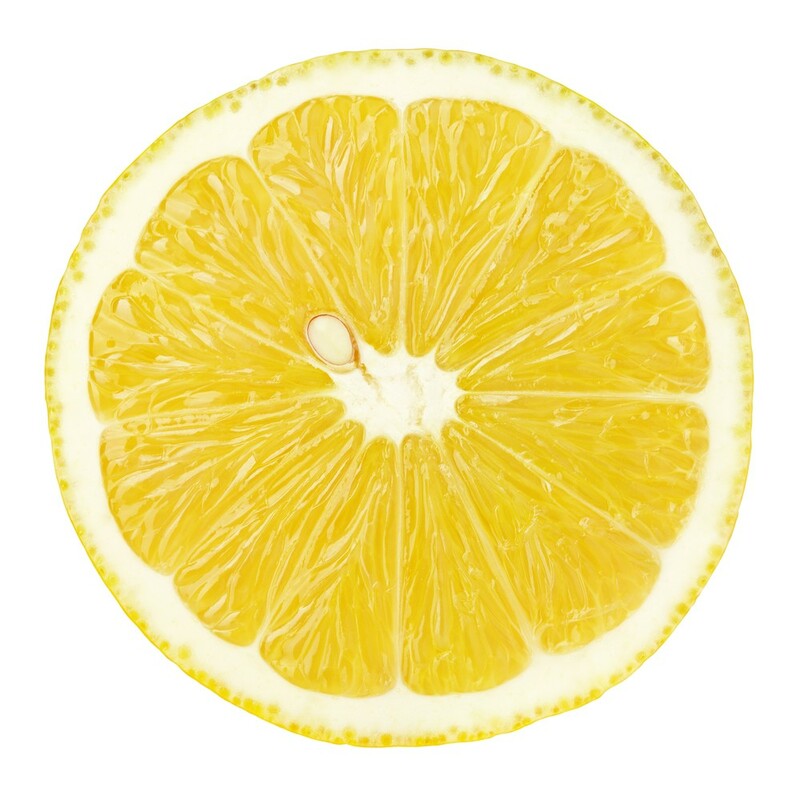 We all know the acidic nature of lemon and it is proven to be beneficial for treatment of several medical conditions. 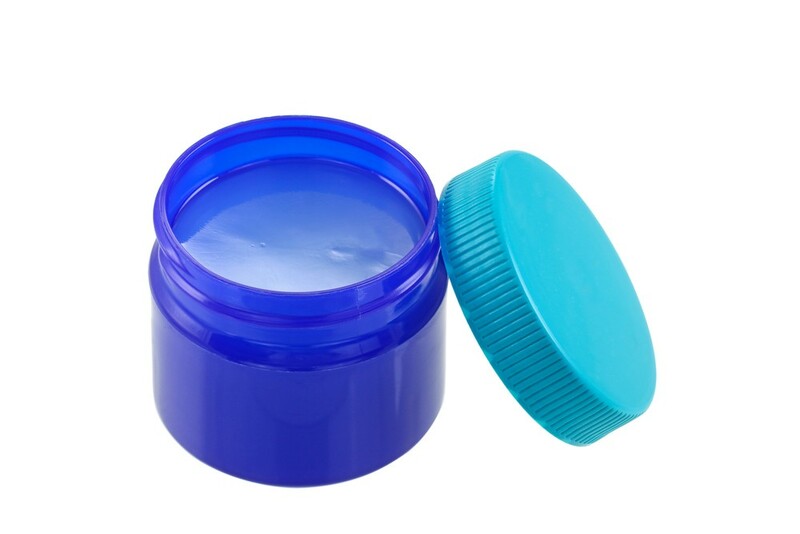 You will be glad to know that it can also be used for dead skin cell treatment. If you apply it on peeling skin on bottom of feet as well as hands then it can soon make them much smoother. Take some warm water and then add few drops of lemon juice into it. Soak your dried feet into this liquid for at least 15 minutes. Now with the help of a foot brush, remove the dead skin. Wash your feet with some warm water and make them dry completely. 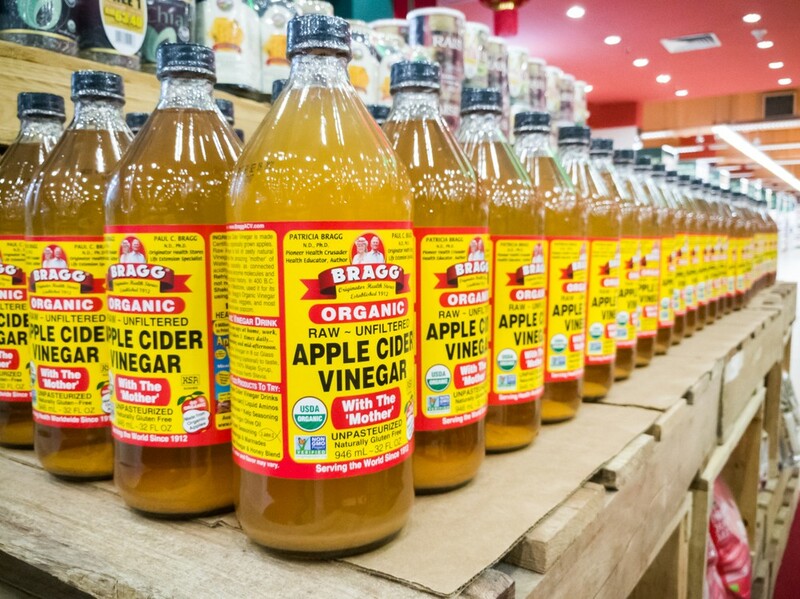 Vinegar is one of the most popularly known home based remedy for dead skin cells. It has power to make your feet as well as palms much smoother and will naturally take away the dead skin. Put small amount of vinegar into water and then soak your feet in this solution for at least 15 minutes. Take a foot scrubber and remove dry peeling skin on feet. Wash and let your feet dry. Apply some petroleum jelly to the affected area.